How can you bring light into your extension? Opening up your property with an extension has become a hugely popular way to improve your home. When done right an extension, particularly one into your garden, can bring the outdoors into your home as well as providing more room for you and your family. To effectively do this, during the design process make sure to carefully consider the placement, size and type of your windows and doors to ensure you are making the most of all the natural light available. Here at Huddersfield based Clear View we have installed many aluminium windows and doors on extensions throughout Yorkshire and the North of England and have come up with a few top hints and tricks to flood your extension with light. A glazed bank of doors, either bi-folding or sliding, is a striking and effective way to open up your extension to your garden. Both sets of doors, when fitted wall-to-wall, give the illusion that an entire wall of your home is removed, flooding your home with natural light. Do not want to take up an entire wall with a bi-folding or sliding door? Why not try to mix and match the type of doors used. For example, install a smaller set of bi-folding doors alongside a regular single patio door. This way you still get all the benefits of the bi-fold, in addition to easy access in and out of your home without having to open the whole configuration. If you are not interested in having access to your outdoor space but still wish to bring light into your room, why not opt instead for large aluminium feature windows? 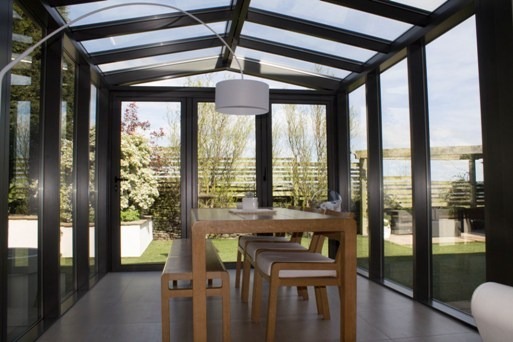 The strength of an aluminium frames allows you to contain a large amount of glazing within a single frame, bringing in as much natural light as possible. 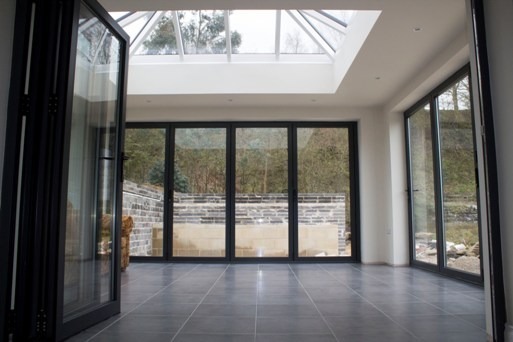 Patio doors are not the only way to bring light into your extension. Maximise every inch of potential space with a skylight or roof lantern. The benefits of these being that they can bring light to even the darkest spots in your home. Clear View specialise in designing and installing specialist aluminium windows and doors to customers in Yorkshire and the North of England. 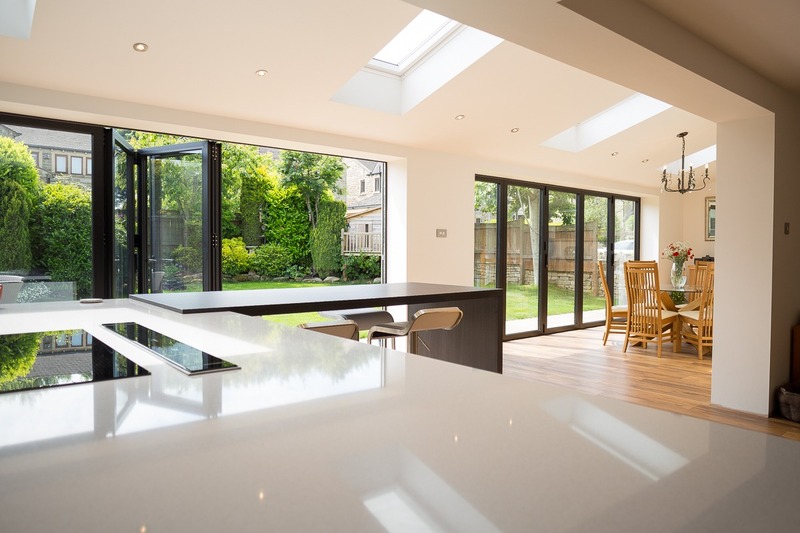 If you want to open up your home’s extension with an influx of natural light get in touch with the team on 0800 1357167 to see how they can help.